Previously we reported on a disturbing op-ed in the Wall Street Journal by Kimberly Strassel suggesting the FBI had a mole within the Trump campaign. 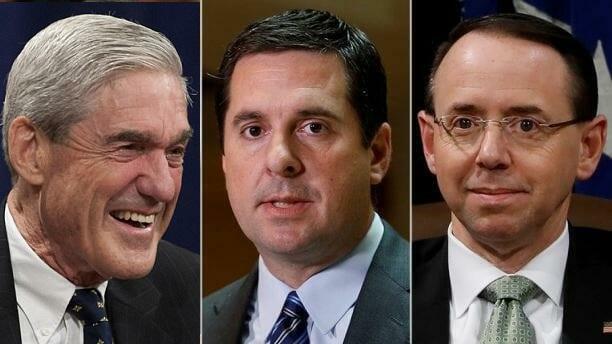 After a battle between House Intel Committee Chair Devin Nunes (R-CA) and Deputy Attorney General Rod Rosenstein over the release of classified information that was so top-secret that the DOJ refused to show Nunes on the grounds that it "could risk lives by potentially exposing the source, a U.S. citizen who has provided intelligence to the CIA and FBI" - the agency finally relented on Wednesday, allowing Nunes and Rep. Trey Gowdy (R-SC) to receive a classified briefing. This U.S. citizen, according the WSJ report, is a spy that the FBI embedded in the Trump campaign - and Strassel says she knows who it is but won't say. "I believe I know the name of the informant, but my intelligence sources did not provide it to me and refuse to confirm it. It would therefore be irresponsible to publish it." In February, The Last Refuge reported that Trump campaign advisor Carter Page was working as an "under-cover employee" (UCE) for the FBI - helping the agency build a case against "Evgeny Buryakov," Then - seven months later, the FBI told a FISA court Page was a spy. When asked over Twitter by OANN's Jack Posobiec whether it was him, Page denied the charge - replying "But if what I'm hearing alleged is correct, it's a guy I know who splits most his time between inside the Beltway and in one of the other Five Eyes countries," adding "And if so, it'd be typical: swamp creatures putting themselves first." No @JackPosobiec, not me. But if what I'm hearing alleged is correct, it's a guy I know who splits most his time between inside the Beltway and in one of the other Five Eyes countries. 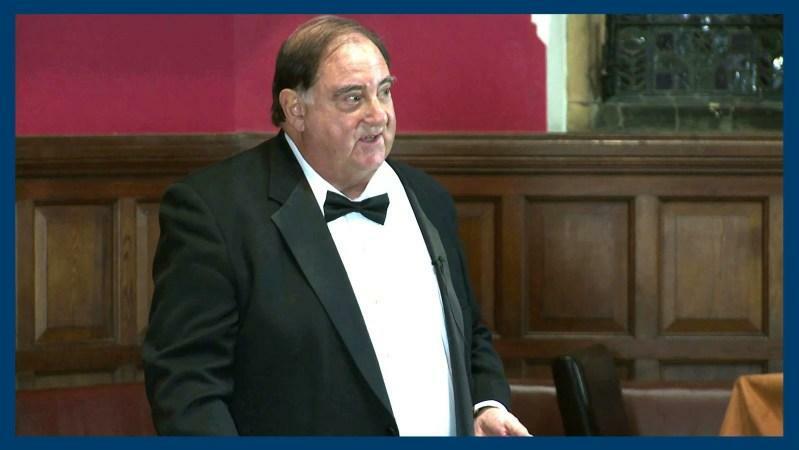 Another person of interest is Stefan Halper, a foreign policy expert and Cambridge professor who is connected to the CIA and its British counterpart, MI6. Halper set up a February, 2016 meeting between Trump campaign advisor George Papadopoulos and former Australian High Commissioner (and Clinton pal) Alexander Downer. Downer's tip to Australian authorities that Papadopoulos knew of hacked emails which would be harmful to Hillary Clinton was a major factor in the FBI's decision to launch its counterintelligence operation against the Trump campaign. Halper had several other contacts with Trump campaign officials, as the Daily Caller's Chuck Ross reported in March. Interestingly, The New York Post's Paul Sperry points out that Stefan Halper's Wikipedia page had been updated to include "He has been exposed as a CIA and M-16 spy behind the FBI Russiagate investigations of the Trump Campaign and is an informant to the Mueller Special Prosecutor investigation" - an addition which was quickly deleted. Perhaps Page and Halper are connected through London-based Hakluyt & Co. - founded by three former British intelligence operatives in 1995 to provide the kind of otherwise inaccessible research for which select governments and Fortune 500 corporations pay huge sums. Jonathan Clarke is the U.S. Representative – Director U.S. Operations for Hakluyt. Clarke is a fairly public figure – but it was quite difficult to locate references to his association with Hakluyt. Given the lengthy association between Halper and Clarke, I expect we will find additional ties between Halper, other members of Hakluyt and members of British Intelligence. At this point, it seems the most likely Person the FBI source is would be Stephan Halper. They used him to validate Steele and Downer. 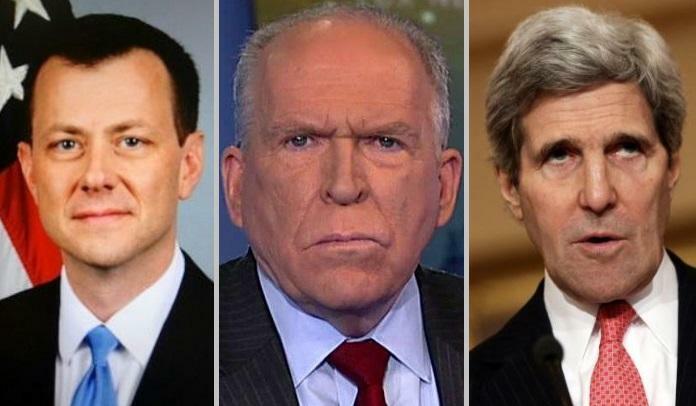 "DEVELOPING: A major new front is opening in the political espionage scandal. In summer 2016, Brennan with his FBI liaison Strzok, along with help from Kerry @ State, were trying to set Russian espionage traps for minor players in the Trump campaign through cultivated intel assets"
As we reported in March, Nunes and the House Intelligence Committee was investigating the Obama State Department under John Kerry for its involvement in the dissemination of the unverified "Steele Dossier," along with a second anti-Trump dossier written by Clinton confidant Cody Shearer. Nunes referred to this as "Phase 2" of his committee's probe into Russian influence in the 2016 US election. So, if Sperry's tweet is correct, the Obama State department, CIA, and FBI conspired to set "Russian espionage traps" for minor players in the Trump campaign, and the FBI had a mole within the Trump campaign, that giant sucking sound you might hear is nothing short of the US Intelligence community starting to implode.